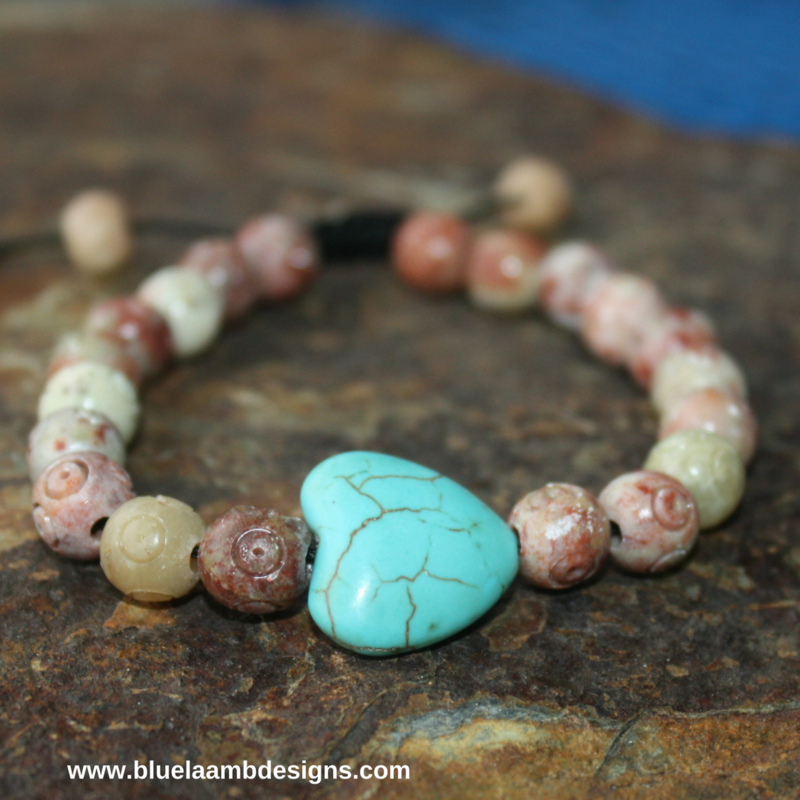 Natural fossil looking stones with turquoise heart makes this bracelet naturally beautiful. Sliding knot closure for easy on and off. 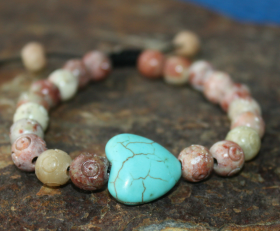 Custom made to your size.